When you need dental treatment, you go to the dentist. Should you need an education, you would enrol in a college or university wouldn’t you? So, when you are looking for help and assistance regarding moving, storage issues or packing, you would look to a professional removals company, surely?! Every day we move, pack and store the important possessions of a number of clients who choose to use our services. Since RemovalServiceLondon.org.uk began, we have gained valuable experience, skills and qualifications in addition to those that we had when we started. Anything related to removals and storage is our speciality and we are well educated on these matters, because we carry out such tasks every day. For these reasons and more, you should leave your relocation, storing problems and packing chores to us, the professionals and have an enjoyable moving experience. Most people, who require our help with their move, have not relocated more than a few times in their lives at the very most. This is why everything seems to go wrong when you try to tackle problems on your own that are related to changing your location and packing up. Because relocating, packing up, buying packing materials and putting your things in to storage are not jobs that you do every day, nobody ever gets enough experience in them. So, then when it comes to that time to take on one or all of these projects, the stress and problems hit you hard. Picking the right company is vital, because not all firms are so keen to offer any help for free or even if you have already paid. Customer care is not one of the main priorities for some firms in this business and this is where the problems begin to arise. Some movers do not realise the seriousness of finding a reputable and helpful team to guide them during their relocation. To ensure your belongings are not stolen, damaged or lost, hire our company and you won’t be disappointed. Because we like to provide a range of services to our clients and not just the usual removals, you only need one company to pack, transport and store your belongings – and that company is us! Instead of wasting your precious time on hiring numerous companies at one time, you can save yourself time and money by leaving it all up to one company to sort out. At our company, you will find all the help, services and support you need under one roof. Each member of our team is professional and skilled at what he or she does. Because we want to be able to guarantee that our clients receive the best services possible, we only hire talented and trustworthy individuals to work with us. Our company is like a family, where good communication is important and maintained at all times. As a result of this, excellent organisation and the quality of our services can be kept at the highest level possible. All these are available to you, plus unlimited friendly, helpful and professional advice which is on offer whenever you need it. Moving Day offer all you need and more, so call 020 8746 4377 today and make the right move! 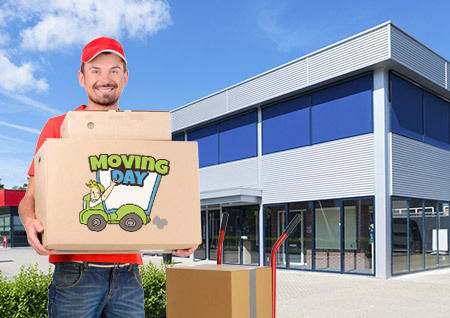 Moving Day is a long established company that started more than 10 years ago. Over this amount of time we have grown and developed our business into a thriving removal service in and around London. We began with small but have expanded into one of the largest removal service provider in London and the M25 area. Our top quality service is the best and can help in business and domestic situation. Our teams of workers are thorough, and will do a first class service. Nothing is too much for us because we have experience and knowledge in this industry. From packing, storage we can help assists with other moving services for you to have a hassle free move. Our dedicated drivers and loaders are trained and can deal with moving you and your belongings safely. All of our services are done with care and at a price that won’t break the budget. Every year we open more offices and now are one of the biggest companies in the region. For an outstanding service we are the company to call. We aim to please like we always have that is why we are still in operation. Our company supplies a high quality service at a fair price. We provide helpful and reliable staff and the best transportation for the job. We have clients who use our removal services again and again, because they trust us. We want you to be satisfied with your chosen removal service. Our reliable services are affordable and done to an extremely high standard, guaranteed. We use the best quality vehicles that are serviced regularly and skilled drivers. We will assure you that you will get the service you ought to have when you hire us guaranteed. As a long established removal company we know how important it is to preserve our environment. Our vehicles are the latest and are economic on fuel consumption. We have a size to suit and we offer a shared load if you want to reduce costs. All of our procedures are done with the environment in mind, from recycling to fuel. You can trust us to care. Call now 020 8746 4377 for more details about our highly regarded services in and around London. Our movers aim to achieve and keep the norms required by the National Guild of Removers & Storers.